Somewhere along the way maybe while we were all sleeping, it seems yet another war has been started. Unlike the previous wars of this past decade or so, some of us don’t even know a war is going on. Hell, some of us actually are complicit and think this war is a great idea until our own luck changes and then we too will learn that the powers to be have decided to wage war on the poor. War on the poor, you ask? Perhaps you think I am being a tad dramatic but after reading about the fella down in Michigan who wants to save a few pennies by only allowing foster kids used clothes, talk of changes to the food stamp program, and closer to home here in Maine talk of drug testing all recipients of Maine Care the state of Maine’s Medicaid program. I say this is starting to look like a war. Yet the only folks who are aware of this war are the folks at the bottom and those of us who work with them who are being asked to do more with less. I don’t know about you but I sort of like the idea of living in a nation that provides for the least fortunate among us, since fortunes in these turbulent economic times can change like the wind in my hometown of the Windy City. I can’t help thinking that our culture of silence around discussions of all things related to money and class unless we are showing off our bling bling is part of why people assume that the poor are those “other” folks. Here in the United States outside of a few select areas the face of poverty can be quite surprising, I mean today’s welfare recipient might carry a Smartphone, drive around in a decent car and be reasonably well dressed and live in a house that doesn’t scream poverty! So we take these outward signs that well folks are just gaming the system, but are they? A few years back, the Spousal Unit had a lousy year professionally and our income nose dived and we qualified for the state Medicaid program, barely. In fact had our income been about $500 more it would have been a no-go. Despite my own misgivings and pride, I was happy as hell to have access to health insurance for that year because it allowed me to get the double hernia repair surgery I needed as well as the oral surgery my daughter needed. Oh, I am sure there were medical staff who did a double take and a few times I did find myself explaining that my job does not offer health coverage and my husband is self employed and had a bad year. Both my husband and I are college graduates, we live in a house and own a decent car. Yet due to circumstances beyond our control we needed help and I for one was fortunate to be able to access that help. I know others just like me, yes during that time we had cellular phones which are needed due to our jobs, again…we had jobs, and they just didn’t pay enough. Yet I am sure there are some who will say you could have done XYZ rather than using state assistance. My point is that since the Great Recession, folks are leaving the middle class by the droves and those folks need help, some will move right back into the middle class and by making sure we keep suitable safety nets available, we are making sure that folks who use the system now will be able to pay back into it. However if we cut the safety nets all we are doing is making sure that we are creating a permanent underclass in this country that ultimately does more harm than good. 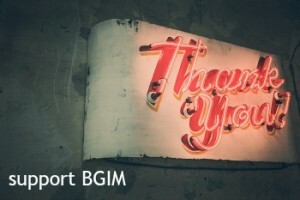 Don’t want to be pesky but the BGIM spring campaign is starting to wind down, consider supporting this blog with few a spare shekels. Thanks.